Raise Awareness | Sharing Housing, Inc.
How can you raise awareness that sharing housing is possible? Invite us to come and give a presentation. Publicity around the presentation will help begin an awareness process. Those attending a presentation will take home a different perspective on the idea than anything they’d already encountered. Do you work with the the aging population? As a professional who works with seniors you have certainly encountered the fear and desperation of so many who are looking at income that is too low to meet their needs. You have likely talked to seniors who are becoming isolated in their homes. The financial, emotional and spiritual health of these clients is your concern. A presentation to your professional group would be an orientation to the idea and how sharing housing can be a realistic option for clients. It raises awareness and starts individuals thinking about it. 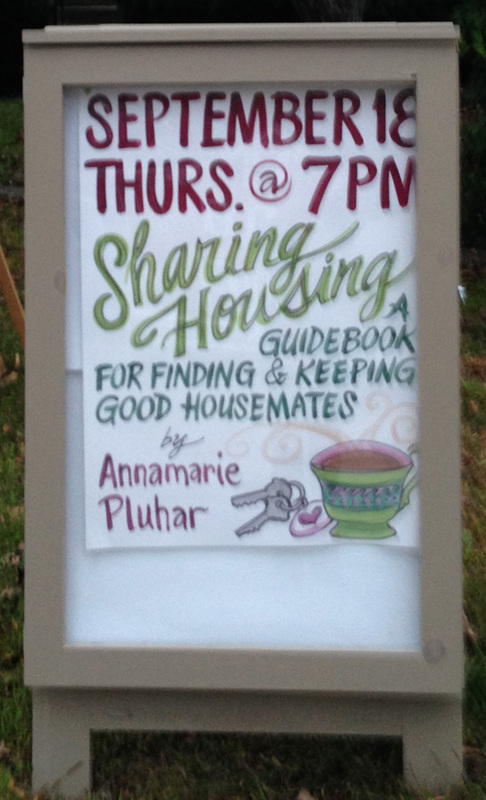 Annamarie facilitated a lively and informative program titled “The Option of Sharing Housing” to my Aging Well womens group at my church in April 2014. The session was so successful I recommended her for the Plugged In series at the Robbins Library in Arlington. MA. Again, Annamarie delivered a terrific interactive program that emphasized 20 or more solid reasons why elders sharing housing is smart, cost effective, life sustaining and fun. I had the pleasure of observing her in action for the second time in April 2015. Presentations can be 45 minutes to two hours. Please use the contact form below to contact us to about a Sharing Housing presentation or call (802) 387-0487. Your interest in Sharing Housing, Inc. Please give us an idea of what you are considering/why you are interested. Not required but helpful.